Can You Spot The Health Risk? Nearly 3 billion people in the developing world—almost half the global population—cook food and heat their homes with traditional indoor cookstoves or open fires. Toxic emissions from these indoor cooking fires cause low birth weights among babies; pneumonia in young children; and heart and lung problems in adults. 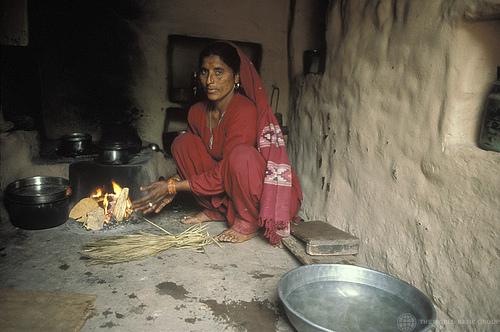 All told, more than 2 million people die prematurely every year as a result of poorly ventilated indoor cooking fires, such as this one in India. At the NIH, our research efforts focus on reducing the impact of existing cookstoves, while evaluating new, cleaner technologies to improve human health.